IPV6 has been developed to replace IPV4 which is running out of addresses. Although it has been around almost 10 years it is still not widely deployed and supported. However adoption rates are increasing rapidly and IPv6 traffic crossed the 10% threshold in February 2016 (wiki) . For small business/home and home office networks it is likely to be many years before IPV6 becomes an issue. All modern computers and mobile phones support both IPv4 and IPv6, and if you look at your device IP addresses you will probably see both. In this tutorial I want to take a quick look at IPv6 addresses, and how they relate to IPv4 addresses. An Ipv6 address uses 128 bits as opposed to 32 bits in IPv4. Because an hexadecimal number uses 4 bits this means that an IPv6 address consists of 32 hexadecimal numbers. These numbers are grouped in 4’s giving 8 groups or blocks. The groups are written with a : (colon) as a separator. Note: Because of the length of IPv6 addresses various shortening techniques are employed. The main technique being to omit repetitive 0’s as shown in the example above. In IPv4 an address is split into two components a network component and a node component. This was done initially using Address classes and later using subnet masking. In IPv6 we do the same. The first step is to split the address into two parts. The upper 64 bits are used for routing. The lower 64 bits identify the address of the interface or node, and is derived from the actual physical or MAC address using IEEE’s Extended Unique Identifier (EUI-64) format. See this Wiki description for exact details. If we look at the upper 64 bits in more detail we can see that it is split into 2 blocks of 48 and 16 bits respectively the lower 16 bits are used for subnets on an internal networks, and are controlled by a network administrator. The upper 48 bits are used for the global network addresses and are for routing over the internet. Link Local – Scope network link- Not Routed internally or externally. These addresses are known as global Unicast addresses and are the equivalent of the public addresses of IPv4 networks. In IPv4 internal addresses use the reserved number ranges 10.0.0.0/8, 172.16.0.0/12 and 192.168.0.0/16 and 169.254.0.0/16. These addresses are not routed on the Internet and are reserved for internal networks. IPv6 also has two Internal address types. These are meant to be used inside an internal network, and again they are not routed on the Internet. It is equivalent to the IPv4 address 169.254.0.0/16 which is allocated on an IPv4 network when no DHCP server is found. They are restricted to a link and are not routed on the Internal network or the Internet. Link Local addresses are self assigned i.e. they do not require a DHCP server. A link local address is required on every IP6 interface even if no routing is present. Unique Local are meant to be used inside an internal network. They are routed on the Internal network but not routed on the Internet. However IPv6 addresses contain a colon as separator and so must be enclosed in square brackets. 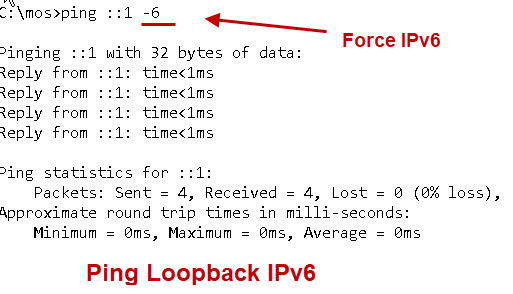 Are all IPv6 addresses routable? Great Article! I am newbie / dumbo to his IPv6. My personal requirement is, I need a way to directly connect / communicate (say via HTTP/S) between 2 mobile phones that are geographically separated and under 2 different Mobile Service Providers. Presuming that the 2 Service Providers provide IPv6 addressing, would it be possible that I could browse to a URL served from one device, through a browser in the second device?